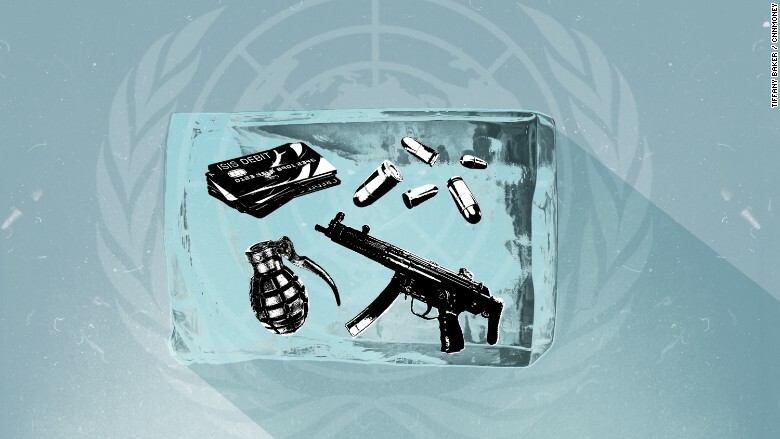 A new United Nations resolution is pressuring countries to completely isolate ISIS from the rest of the world, freezing the way terrorists move money and weapons. On Thursday, all 15 countries on the U.N. Security Council agreed to work more closely to fight the Islamic State's business channels. ISIS operates as an actual state that brings in more than $1 billion a year. It has a cash flow when it exports oil. It also sends money abroad to arm foreign jihadists on suicide missions. The meeting of finance ministers -- the first of its kind at the U.N. -- highlighted some novel ways ISIS pulls this off. ISIS is able to profit from the manufacturing and agriculture under its control in Iraq and Syria. It has earned $100 million by selling cement and $250 million from selling phosphate -- mainly through shell companies in Eastern Europe operating on expired Soviet business licenses, according to Russia's ambassador to the U.N., Vitaly Churkin. The anonymity of gift cards is also a problem, said French finance minister Michel Sapin. ISIS largely financed its Nov. 13 attacks on Paris by loading up prepaid debit cards with cash, making it difficult for investigators to track money from ISIS financiers in Syria to undercover jihadists in Belgium. 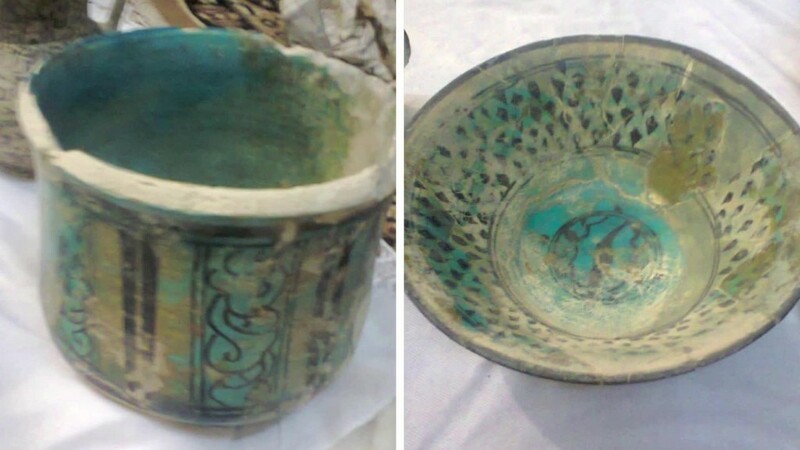 ISIS is also profiting from a black market for antiquities. It allows for the looting of ancient Iraqi and Syrian archeological sites, charging licenses and fees for stolen artwork that later gets sold for thousands or millions of dollars. Omar Malhas, Jordan's finance minister, said his government has stepped up efforts to combat trafficking at his country's border with Syria. The new U.N. resolution blacklists identified ISIS members from the business community, and it demands greater sharing of intelligence between law enforcement agencies to pull that off. But that will require changes -- especially on some thorny issues. For example, ISIS could make $500 million this year by selling oil on the black market in that region. Turkey is expected to step up enforcement to ensure illicit oil tankers don't sneak across the border from Syria. The Russian government has accused Turkey's political leaders of personally profiting from tacitly allowing this trade to continue, which Turkey denies. Also, the U.N. resolution calls for a complete arms embargo to ISIS or its territory. But it's not as simple as ISIS just buying weapons. Military scholars closely watching ISIS tactics say its soldiers are largely supplying themselves by capturing caches of enemy weapons. During a speech at the Security Council, Russia's ambassador warned that weapons sent to rebels battling Syrian President Bashar Al-Assad are ending up in ISIS hands. He said ISIS has received mortars, rocket-propelled grenade launchers and ammunition since September. His comments could be perceived as a slight toward the United States, which had suspended its program to arm and train Syrian rebels but has just delivered a fresh new batch of ammunition to those rebels. Still, it was a rare show of solidarity that the United States and Russia were able to push together this resolution. But there are also aspects of ISIS that are entirely left out of this plan. The terrorist organization's main source of revenue is the money it squeezes out of the people and business in the form of taxes and extortion. This U.N. plan does nothing to retake control of that land. Plus, locking ISIS out of the international banking system isn't expected to do much. While ISIS does need to physically park the $2 billion it made in 2014 and more than $1 billion it made this year, it actually controls some 90 banks inside Iraq alone. "The U.N. fails to take into account the three main components of ISIS financing," terrorism expert Jean-Charles Brisard told CNNMoney. "One, the fact that it holds a territory. Two, the fact that it is mostly autonomous for its financing sources. And three, the fact that it doesn't rely on the formal financial system to move money." Even so, there will be some impact. "It probably won't lead to their demise, but it will certainly have a degrading effect. To do otherwise is the same as turning a blind eye," said Martin Reardon, a former FBI agent now at a private intelligence firm, The Soufan Group.